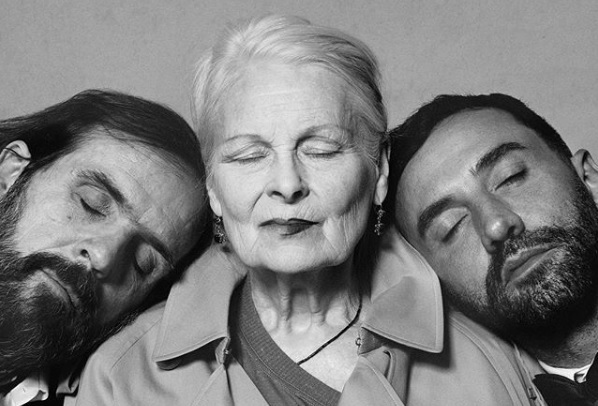 Burberry’s new chief creative officer Riccardo Tisci will collaborate with iconic punk designer Vivienne Westwood on a new capsule collection to be released in December. Burberry and Vivienne Westwood’s limited-edition collection will feature reimagined iconic styles from Burberry’s archive that celebrate British heritage and style. Proceeds from the collection will support Cool Earth, a non-profit organization working to save rainforests. Tisci studied at Italy’s Design Istituto d’Arte Applicata in Cantù until the age of 17 before graduating from London’s Central St Martins in 1999. In 2005 his career was sealed when he was made creative director of both Givenchy’s haute couture and ready-to-wear lines. He has also worked designing stage costumes for musical greats like Madonna, Rihanna and Beyonce. This collaboration announcement comes as iconic works from Westwood’s back-catalogue go under the hammer at Bonhams auctioneers from the collection of Mark Jay, the founding editor of Punk fanzine Skum. 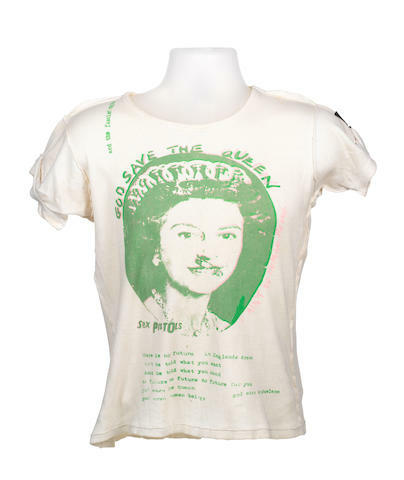 Vivienne Westwood and Malcolm McLaren: A ‘God Save The Queen’ T-shirt, 1977. Bonhams. The Entertainment Memorabilia auction takes place July 18 at 12.00 BST.